I would love to travel with you. You see things in a way no one else does. The photos are so stunning, especially the wisteria. 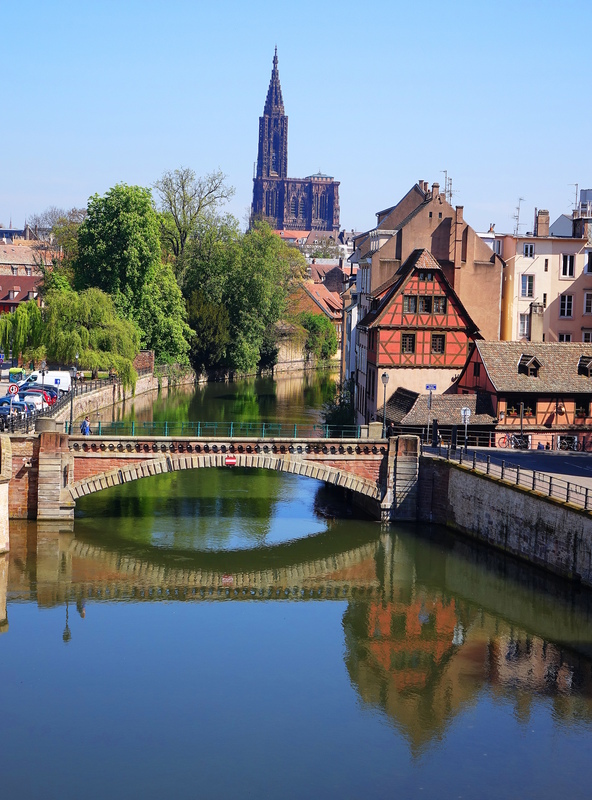 I always think of Germany when I hear the name Strasbourg, but most of it is in France. 🙂 Guess that’s why I didn’t get to visit. Hope you are continuing to have wonderful travels. Ah, you are very kind and your comment touches my heart. ❤ I would love to travel with you too, and am glad we are doing so virtually. 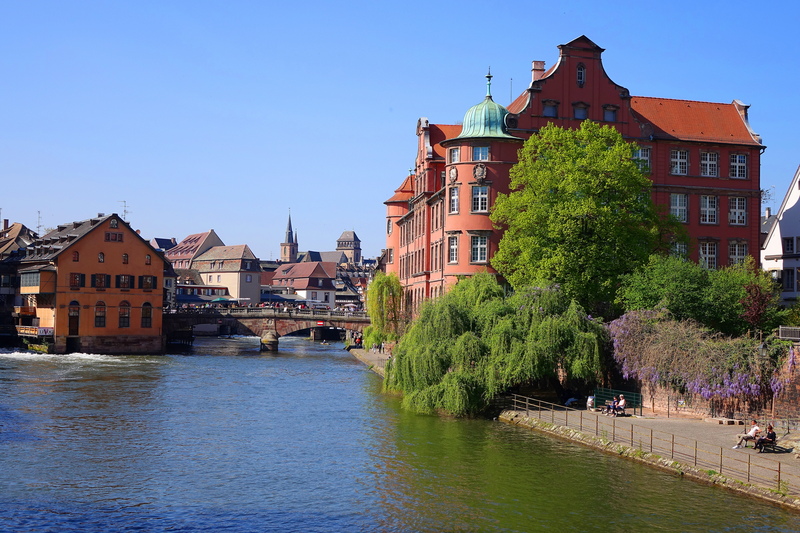 I constantly mix up Strasbourg with Germany, it was German at various times in history, so the confusion is understandable. 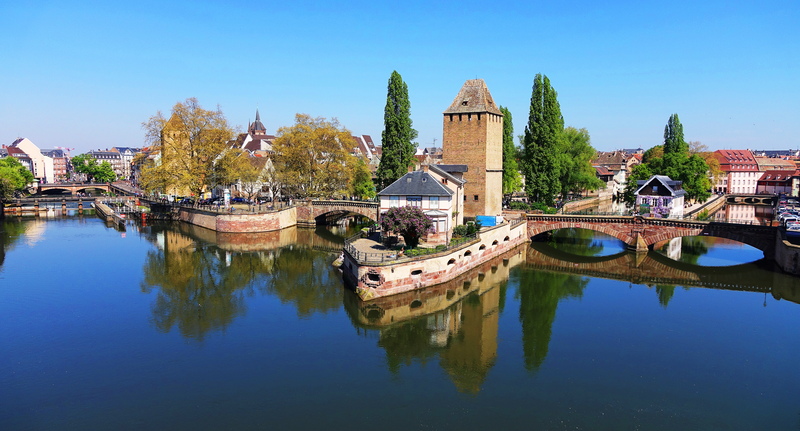 I am enjoying all the Easter celebrations in France right now, but will be in Germany for Easter. That is where I began. Up north by Dillenburg in the area of Cologne. Grandparents are at rest south in Friedrichshafen, on Lake Constance. I hope you have a wonderfilled Easter!! Gorgeous photos! 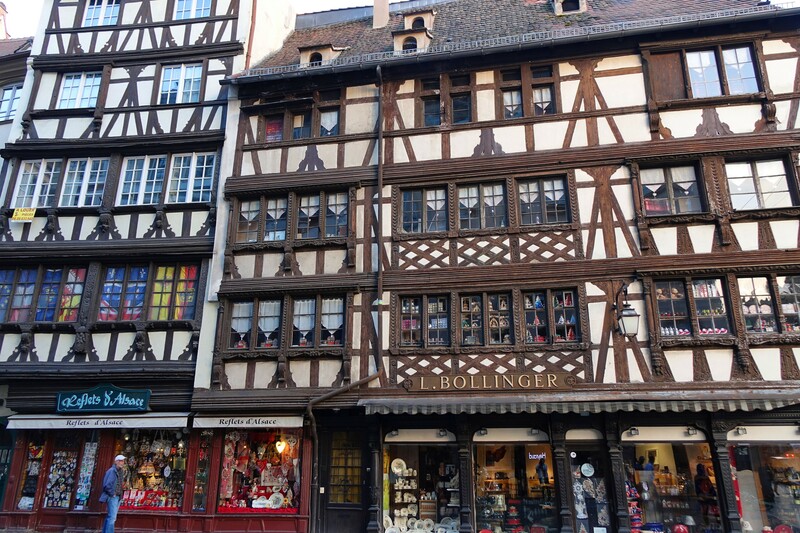 I hope to make it to Strasbourg some day. 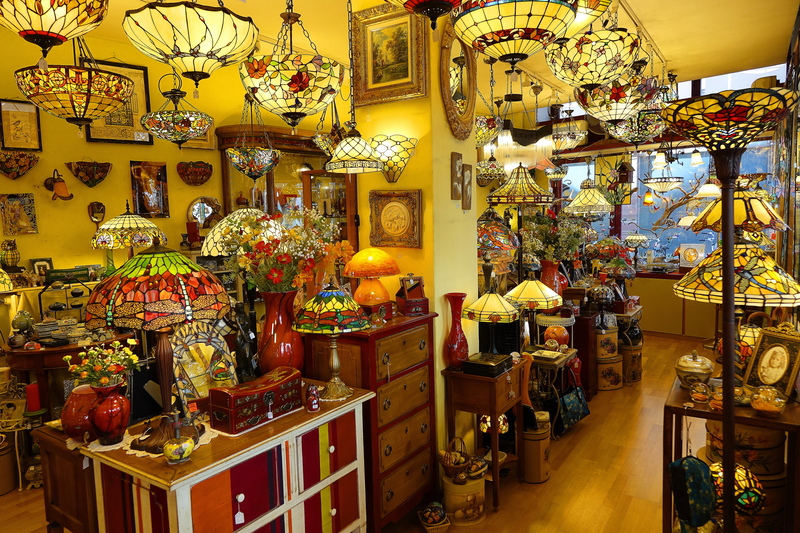 What a feast for the senses!! Gorgeous shots once again, Cindy. I do love traveling and seeing the world through your lenses!! I love traveling with you Debbie. We always agree on what to see! 😉 Seriously, it makes the experience richer when sharing it with wonderful friends like you! So picturesque! 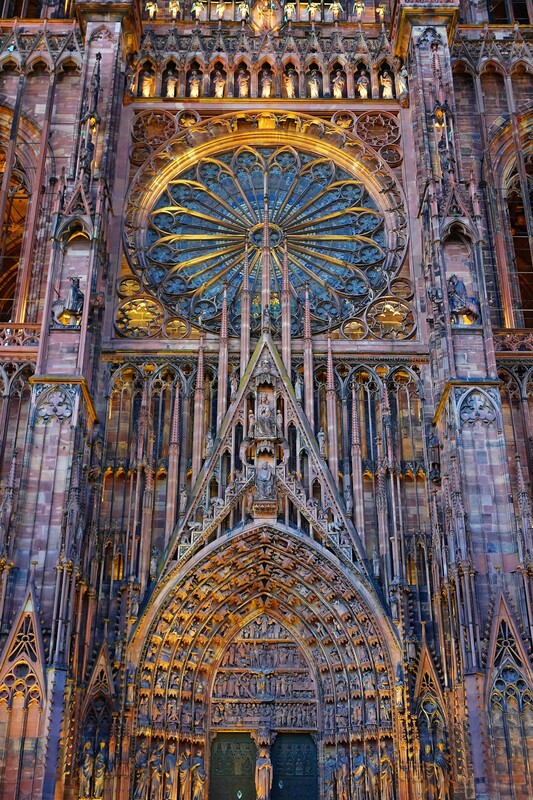 The cathedral is stunning, Cindy. The city looks like a great place to wander with a camera! It is like photo-op overload and presents a clear unfair visual advantage for photographers! Beautiful place, thanks for sharing. Wow, this looks like a wonderful place to visit. I highly recommend it! You will be amazed. Oh so beautiful!! Such a long time since I’ve been- this post makes me want to go back!! I can fully relate to your feeling! 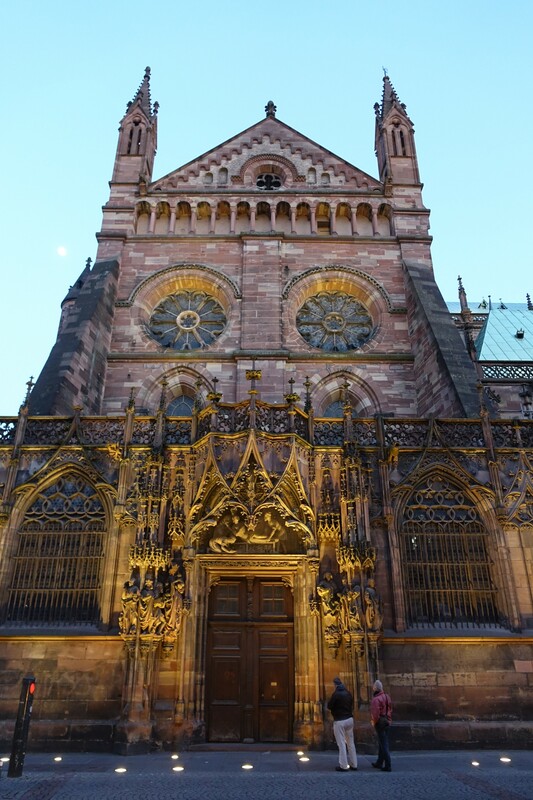 Awesome impressions from Strasbourg, Cindy. The wisteria looks fabulous! Wisteria is everywhere in France right now and I can’t get enough of it! There is even a giant Sequoia growing in Riquewhir, planted in the the 1800’s and thriving. They only grow in California. I did a double take when I saw it! Such incredible beauty, these photographs are stunning Cindy! Vielen Dank und Jubel für Sie! Of course Trump wants to further deregulate the airlines……. Sorry for my late reply and like, I have been under the weather. What a beautiful city, I have never been there. I love the first two pictures, they colors are almost surreal. I bet you guys were smiling all the time while walking through the city. 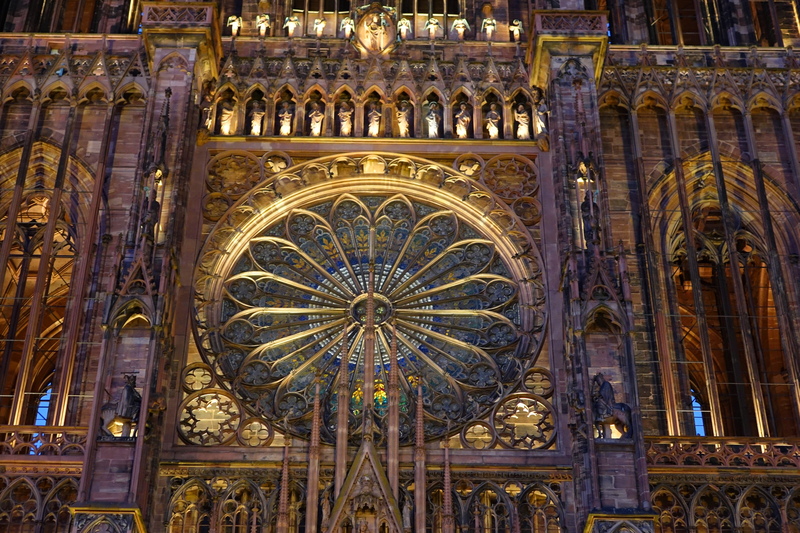 The photos of the cathedral capture a wonderful mix of exuberance and subtlety in the colors. Thank you. It is so incredibly beautiful, I wanted to do it justice. I want to be there. Now! Beauty beautifully captured. I love being here. There are amazing, ancient churches around every corner, so we go to church multiple times a day and love every minute. I happened on to Bach practice for an Easter concert yesterday. Sublime. I wish we had a tradition like this at home, these amazingly wonderful sanctuaries people can go to whenever they please….. It looks stunning. I was last there in about 1965! My goodness — what a gorgeous post. 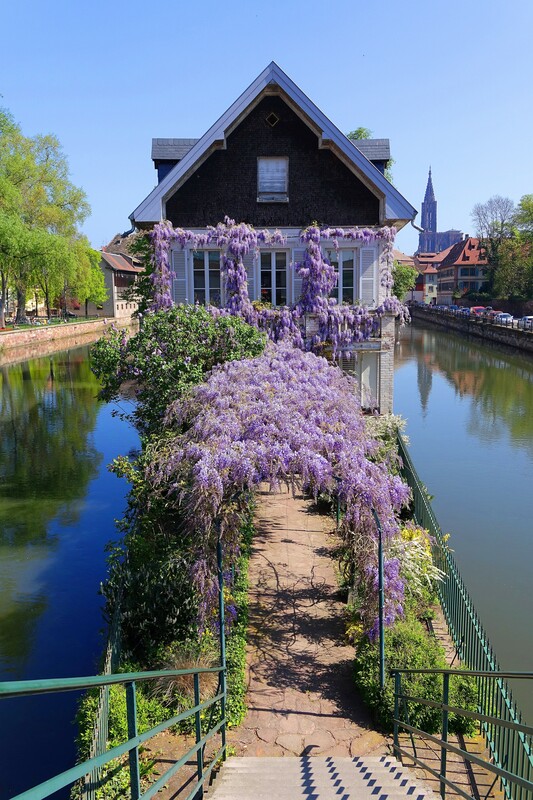 And those wisteria blooms – wow. The city is indescribable, so I will be posting more photos! It takes your breath away in pure amazement! 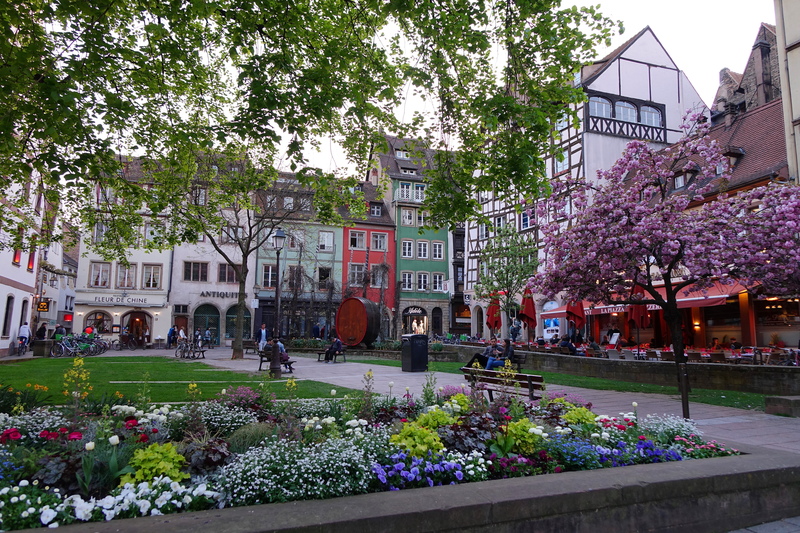 Laughing…..My husband is googling low cal restaurant options for tomorrow as we speak……But we are in the land of schnitzel and potato pancakes! It’s gonna be veggies and power walking instead of Easter streudel for me! Ar, thar be no good a coming from Lammas afore Lammas eve. After turning our discussion into spagetti, wp turns off the reply function. alas, me thinks wp thinks we talk too much…. That is what the cathedral did to me too. Induced awe. It is SO tall. It looms up like some ancient skyscraper, making one marvel at how humans built this with scaffolding, over a period of 500 years. There was supposed to be a second tower. I think they got tired and decided to rest! Love to hear your thoughts Jackie. Thank you. Indeed! All we have to do to accomplish any task is have faith in ourselves. It is truly an amazing sight, so pleased you enjoyed! Wow. What an amazing place. That wisteria. It stops the heart, it’s so beautiful. I can smell them from here where it is snowing! Ohhh, I would love to photograph your brother’s clocks! I do not like WP changing conversations into spagetti lines! I want to see that clock!!! My Mum has two tall lamps like those in the last photo I’ve never seen them anywhere else. I love these old buildings I sometimes walk to Liberty in London just to admire the lovely area and building. We, too, are drawn to cathedrals wherever we travel. There’s not much like them being built today, so we have to appreciate what remains of the remarkable architecture and detail. We always ask ourselves, “How’d they do that?” Especially when we consider that they didn’t have the technology and machinery we have today! Visiting ancient cathedrals becomes addictive, not just for the beauty which you mention, but mostly for the sense of spiritual calm you absorb while in them. I am always amazed by these ‘people’s buildings’ built for everyone to come in and seek solace over the course of hundreds of years. On this trip we spent a fair amount of time in Greek Orthodox churches in Eastern Europe. I was beckoned in, given candles to light, welcomed in such a lovely way. It is a history, culture and tradition that seems so comforting. I understand completely why you are drawn to these amazing cathedrals. I love that you were welcomed in. We’ve got to keep this inclusion of all humanity thing going! Thanks for sharing your experience with me. Glorious colors and inviting scenes. Wisteria is especially lush! And growing everywhere which was lovely! It is a truly magical city Robin and I am am glad you resonate with it!